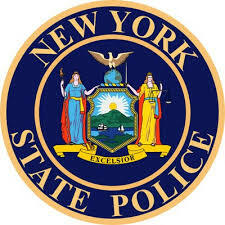 New York State Police based out of Troop ‘A’, Zone I, conducted a Sobriety Checkpoint in the Town of Darien, Genesee County, Friday September 28 through Saturday morning September 29. DARYL L. FORD Jr. -- Age 31 of Niagara Falls, NY was arrested for 5th Degree Criminal Possession of Marijuana after being stopped for a traffic infraction. He was also charged with 2nd degree Aggravated Unlicensed Operation. He was issued an appearance ticket to return at a later date. JERARD L. CRAMER -- Age 31 of Buffalo, NY was arrested for Felony 1st Degree Aggravated Unlicensed Operation, Unlawful Possession of Marijuana, driving without required InterLock device, and numerous other Vehicle and Traffic infractions. He was arraigned and released to appear at another date.